Have a question for The City Garden Villa? Situated in the heart of Siem Reap’s city center, this property is a mere 10-minute walk from the Old Market, the Night Market, and the city’s famous Pub Street. All the comfortable rooms feature air conditioning, a private bathroom with a hot shower, and cable TV. Other facilities include Wi-Fi, in-room massages, laundry and dry cleaning services, as well as tour arrangements. For dining, The Cafe Restaurant provides all-day dining for your convenience. Guests on transit will be pleased to know that The City Garden Villa is just a short drive away from the Siem Reap International Airport and the Angkor Wat Temple Complex. Breakfast is available at an additional charge per person. Rates and times may vary depending on the day or type of breakfast. Please contact the property for more information. An additional charge will be required for use of the next door swimming pool. Before arriving, I called them and they came to pick me up at the bus station for free. I stayed there three nights for 3 dollars only a night! I had my own room (with fan) and my own bathroom. By walking, the City Garden Villa is about 20 min away from the night market and Pub Street (the most entertained street). We also used the hotel's service for the tuktuk. We paid $17 for the whole day at Angkor Wat from Sunsire to Sunset! I saw that they serve breakfast for $2 (didn't try it). For that price and location, I will probably go back there if I come back to Siem Reap. The facilities were clean and comfortable.It was rather a long walk to get to markets, but it was central to everything and back off the road far enough to have tranquil surroundings. The people running the place were very caring and considerate. Would stay there again. employees were really helpful and the whole feel of the hotel was very homey! i loved my stay here in the city hotel. they picked us up from the station and when we arrived the hotel the people were very accommodating. though there were flaws in this hotel you would forget about it because of there exceptional service. you can get everything from this hotel from guides to transportation services, etc. staffs are excellently helpful & cheerful. they tirelessly work through to give us the best services. though they do not speaks english well but it's worth the money as it's extremely cheap and i suggest those travelling in family to come here as it's also near the town. save on your stay and spend on your food. cheers. Nice guesthouse with wooden stair, wooden wall and bamboo-made closet, reminds me of bangaloo of Maldives. Staff speak fluent English. The hotel has his own tuk-tuks and tourguides that always offer service to their guests, who are more reliable. 3 byclecles for free use, very convenient for lingering around the small city. Well, it is really good at such an accessable price. this family room have 2 toilets which is convenient for the four of us. room is comfy as air con is new, water heater is also new. checking in is flexible as long as the room is available as i was able to checking in at 9.30am. the staff and the supervisor are all offering a helping hand each time. there even a wifi provided in the hotel. the room rates is also cheap and service are excellent. if the room have a television that would be great. was very cheap and clean guest house so amazing! i love the room. people are so nice and kind and location was good also. i love the moode of the house beacuse it looks like traditional cambodia house. 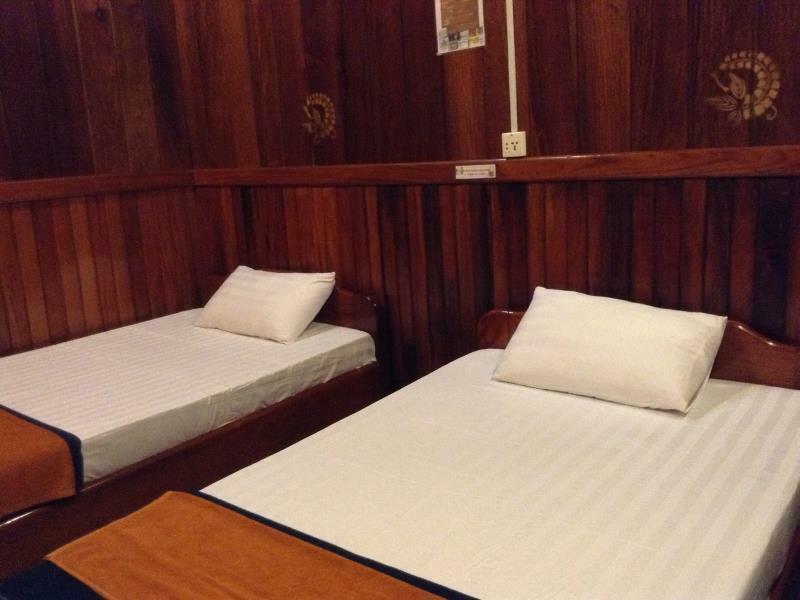 the city guesthouse was a comfortable and convenient place to call home for almost a week. getting to pub street was a $2.00 tuk tuk ride, or a 15 minute walk; i'm a walker and enjoyed the opportunity to stop at shops along the way (which get increasingly more expensive the closer you get to pub street). the guesthouse also has 2 free bicycles you can use. the royal residence and gardens are just down the street, and the river is not far, and makes for a beautiful ride or walk. room was clean, and ideal for the budget traveler. i had the most comfortable bed so far in all of asia. Wirh only a 10 minute walk to town the city hotel is very good value for money. Breakfast was included and there was free wifi and Internet access. There are other services such as laundry available aswel the staff were ll very friendly. And the room was clean. Although there were a few to many Mosquitos. 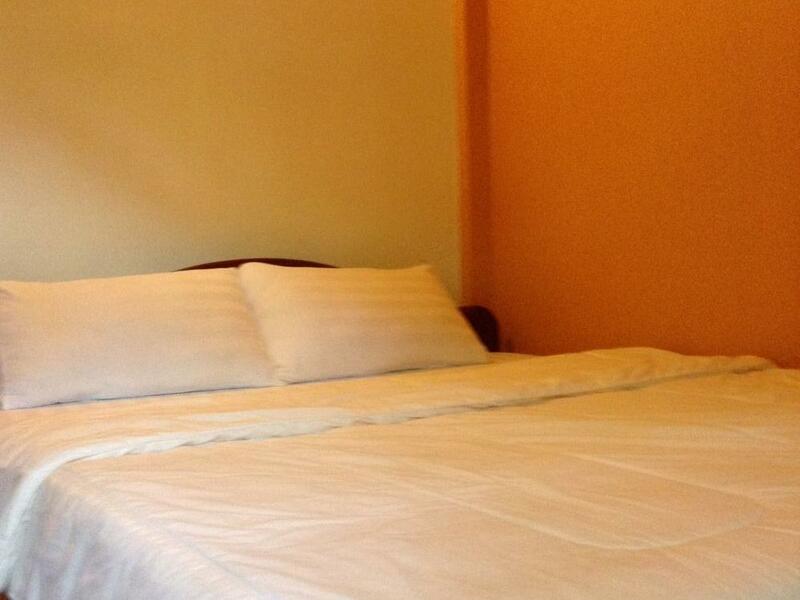 beautiful clean rooms, with really helpful staff. free internet was really useful. this was in a great location to cycle to angkor wat and the temples as well as to go into town. the hotel has 2 bicycles free for guests to use, although best to hire if you are going any distance as these are on the old side! it was fantastic value and the staff were there 24/7. definitely would recommend! close enough to the city centre to walk to but just far enough away to be calming, and near enough angkor watt to cycle comfortably (well maybe not on their free bikes!! but they are free after all!). willing to help in any way, airport pick up, info on local attractions, bus bookings and take away breakfast early morning. myself and travelling companion (in her late 50s) both enjoyed and would stay again. Very pleased with our stay here! The staff went out of their way to have our breakfast ready at 5am for an early departure. They are so friendly and helpful! 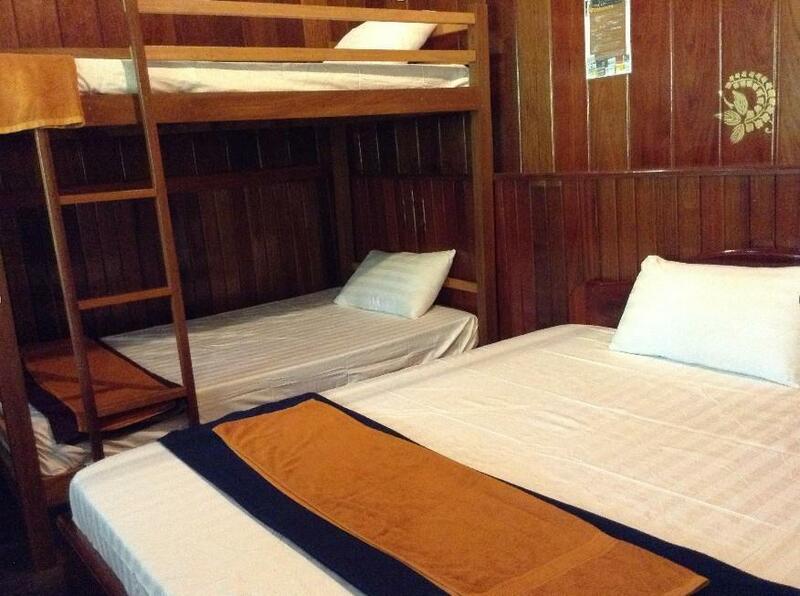 The rooms are spacious and comfortable. The mattress is sort of memory foam-- very nice! Big bathroom, with a decent shower. The location is really good-- a 15 minute walk to the old and night markets, and if you take one of the bicycles, it's only about a 20 minute ride to Angkor Wat and the temples. Free wi-fi if you have a laptop, but otherwise there is one computer that is on the old side. Overall, I recommend this hotel! it was nice ,the gh had everything at my disposal, including tuk tuks (use theirs if you go to angkor wat by tuk tuk since it's the same price). Sitting in the garden bar was OK...Only because it smelled better than our room. Room was filthy. Smelled of mould and urine in the bathroom. The laundered towels didn't smell laundered at all. The sheets smelled dodgy so we used our own, which on the second day, the cleaning staff took them while we were gone and we had to ask for them back, which was a huge hassle because they made out like they had no idea what we were talking about. The staff were quite apathetic and very unhelpful. On their website they have free bicycle hire advertised, but when we asked if we could use them, we were told that there were none. We pointed to the row of bicycles next to us that obviously belonged to the hotel and asked about those, to which the girl replied, "no those belong to guests". I later saw an American couple ask about those same bikes and without hesitation, the same girl handed them over with a smile. We had to hire bicycles that were falling apart and had no brakes from the guesthouse next door for $2 a day!!! Now, this poor treatment could be for a number of reasons... Perhaps we were not quite white enough...(we're New Zealand Maoris) Or maybe it was because we are a lesbian couple, (we were surprised to receive a judgmental look when we asked for a double bed instead of a twin when we checked in). We stayed for 3 days, only because nothing else was available. But once we did find something, we couldn't get out fast enough! Anyway, without wasting too much time writing about this unpleasant experience, it is just a review after all and nothing much will come of it, but if we can prevent anyone else from experiencing what we did at this place, I'd be happy. 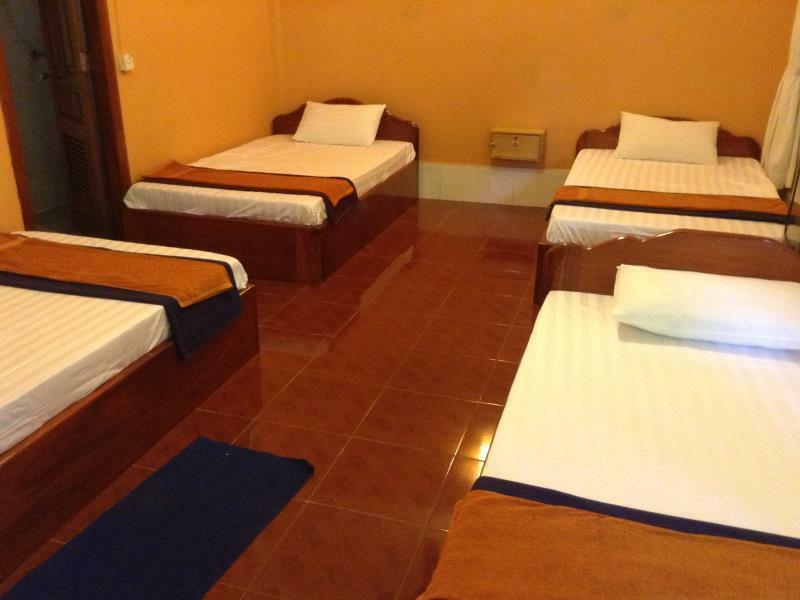 I have no idea how this guest house had reviews on travel forums as 'the best value in Siem Reap', I've been living, and travelling about Cambodia for the last 6 months and this was one of the worse of the bunch. I've stayed in much better accommodation for cheaper too. Firstly, they don't have a pool, and if you want to use the pool across the street you have to pay. Secondly the wifi barely works ever - and even though I told them upon arrival this was a business trip and I needed wifi they couldn't be bothered to get it fixed - please don't dismiss this as a 'you're in Cambodia' issue, because I've stayed at many guest-houses with perfectly good Internet. Thirdly - rooms are only cleaned when asked - which I don't have a problem with, but the fact other guest-houses which cost less supply 2 bottles of water a day, always ensure fresh towels are delivered and provide toiletries in the bathroom - well this place cannot be bothered with any of that. Fourthly - when I first arrived, even though I booked a room with hot water, I was placed the first night in a triple room with a tiny floor fan probably 20cm in diamater) that had no hot water and literally stank like someone had died in there. Thankfully the room they moved me to the next night had no smell and had hot water - but it didn't matter because I'd already paid, and yet I'd been placed in a terrible room. There is not always someone there who speaks English. I know this because I was stuck trying to communicate with a Khmer woman who spoke NO English what so ever, and my Khmer is not good enough to communicate fluently. She told me in Khmer someone who could speak English would be back in two hours. (this was at 2pm in the afternoon). There are PLENTY of good, clean, functional places to stay in Cambodia, Siem Reap, with staff who will knowledge and address any problems you as the paying customer has! This, is not one of them. They have a good location, you can get anywhere close. I stayed in a single room with fan, in the first floor. The room has no ventilation, but small windows and it really doesn't help much. The fan was very big on top of your head, so either you're sweating like crazy, or you swallowing too much wind (even if you set to the very low swing). They're not cleaning the room daily. I stayed for a week and no one is cleaning the room at all, not once. Hot water is on, working well, and the water is good enough. I can hear people's steps from upstairs. The dog in the neighbourhood keeps barking in the mid of night, or even early morning like 4 am. Breakfast is nice, bread, omelette with coffee/tea. the city looks nice from the outside and as places to stay go really wasn't that bad. the bathroom however are filthy. it looks like they have never been cleaned. by that i mean disinfected and scrubbed with regularity. the walls were dirty but no more so than most guest houses. the bed was comfortable and the room cool when using the fan. the water was hot, in cambodia, this is a luxury. the shower ever had good pressure. it made the bathrooms dirtiness tolerable. cambodia is very dusty and after a day at angkor wat you will want a hot shower. the jasmine family hotel just across from the city is much cleaner (but only because it's new). if you must stay in a clean place, don't stay at the city, but if you love your hot showers, it's worth putting up with the dirtiness.